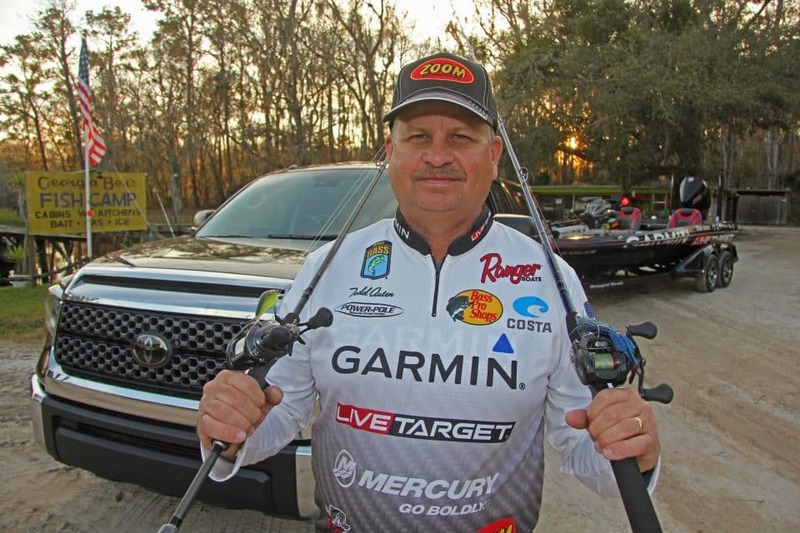 At age 52, with a long history of competing at the pro level, including qualifying for the prestigious Bassmaster Classic on three occasions, Todd Auten has seen pretty much everything modern day tournament angling has to offer. But after three days of practice, he’s still not sure if this week’s Bassmaster Elite on the St. Johns River will be won with a wave of early spawners, maybe out deep off a shell bed, or perhaps, somewhere in between. What he is sure of is the aquatic vegetation known as eel grass that helped make this Northeastern Florida fishery famous is almost nowhere to be found after recent hurricanes and extensive periods of really high water wiped it out. The veteran pro from Lake Wylie, SC may be slightly perplexed by bass on the St. Johns right now, but there are two things in life he’s certain of. He knows bass fishing beats the heck out of hanging wallpaper for a living, and he’s clear on his choice of truck brands. “Every now and then, my wife will put me to work hanging wallpaper. She’s been getting paid to hang wallpaper for 30 years, and she really enjoys it. But I’ll promise you it’s not nearly as fun as catching fish for a living,” grins Auten. It’s also not as fun as getting paid a cash bonus for driving a Toyota. Auten was one of the very first anglers to sign-up for the now popular Toyota Bonus Bucks program, and he’s cashed more checks, and driven more Tundras than he can count. “I think this truck I’m driving now is my third Tundra, but it might be my fourth. Heck, I’m not sure, I just know I love the vehicle,” smiles Auten. He’s also smiling over recent changes to the Bassmaster Elite Series. “Lower entry fees, 75 anglers instead of 105, and a guaranteed paycheck, are all awesome reasons to be excited about 2019,” he proclaims. “This should be an exciting week for fans, because there’s still a lot of big fish in this river, and you’ll see guys catching them in a variety of ways. Chatter Baits, lipless crankbaits, swim jigs, and pitchin’ a heavy ‘punch bait’ will all be in play. 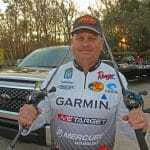 And guys who know where the deeper shell beds are will be crankin’ and dragging a Carolina Rig,” promises Auten. He’s guessing 15 pounds per day will be good enough to make Sunday’s final cut round, and he absolutely positive this week on the St. Johns will be way better than playing with wallpaper paste.